CLOSEOUTS. 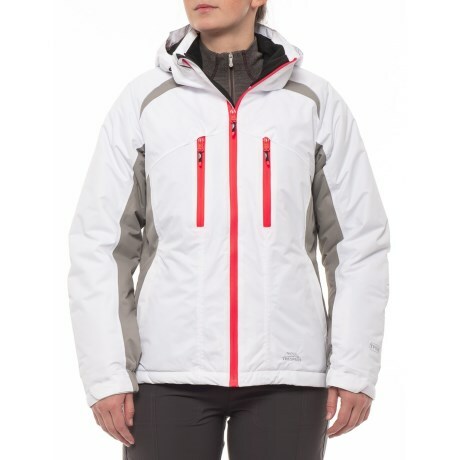 Stay dry, warm and comfortable on the slopes or in the backyard with this Trespass Adelena TP 50 ski jacket. Available Colors: WHITE. Sizes: 2XS, XS, S, L, XL, 2XL.